What makes In A Good Way so amazing isn’t just that it’s a good drama, what makes it extra special is that it’s good within the context of the normally mediocre TW-drama genre and it has consistently stayed good even deep into its run. Episode 15 today delivered an hour of electric entertainment built on the previous 14 episodes worth of solid storytelling. Two years have passed since Jia En came to Taipei to study for her college entrance exam retest, two years during which she matured a lot, experienced a lot, and lived a pretty eventful and uneventful college freshman experience. The fun club activities were balanced with testing taking stress, all of which culminated in a big protest concert that is as impressive and colorful as anything one could hope to do during a more adventurous time in life such as college. Its been satisfying watching the subtle interest and simmering flirting between Jia En and Liu Chuan for the last few episodes and the drama couldn’t have picked a better time to finally let them become a couple. Dating Liu Chuan and Jia En are as cute and precious as I imagined and more. She’s like a giddy school girl in love, he’s like a take charge boyfriend finally able to let loose his inner romeo. It’s fun to watch them working together to unravel the mystery behind Liu Chuan’s grandfather’s painting which continues building their relationship on mutual companionship on the things that matter most to them. Liu Chuan has always supported and pushed Jia En when she wants to try new things, and she’s always been encouraging and patient when he runs up against roadblocks. I’m glad the club review was resolved in a really satisfying way with Liu Chuan tying their use of club funds for the protest concert as exactly a event that fulfilled the club’s founding declaration as engaging in the search for something of value. I know I’m going to abuse the rewind button and pretty much have this episode on constant replay for the next 7 days until the next IAGW crack dose arrives. There is so much “pink” skinship waiting for everyone in episode 15 that I suggest wearing sunglasses to watch to avoid getting blinded by the cute. Liu Chuan and Jia En hug and then hug some more. After the hug ends, they look at each other tenderly, then Jia En takes out a chocolate bar from her pocket. It’s the same one Liu Chuan bought only for her during their rainy protest night outside the Foreign Languages department. She puts it in his hand and they smile at each other. Liu Chuan opens the bar and breaks it in half and hands one half to Jia En. They silently eat their halved chocolate and keep smiling at each other. They are staring at the Treasure Hunting club painting when Jia En brings up how the painting has “To Liu Shan Feng” written on it in mirror reverse script. Liu Chuan takes a look and realizes that the writing is in his grandfather’s hand. They head to the library to look at a picture in the university yearbook of the first Treasure Hunting club which was started by Liu Chuan’s grandfather. He attended CDU as well and was the reason Liu Chuan chose to attend rather than a better school. Liu Chuan got into treasure hunting because of his grandfather who would design hunts for him when he was growing up. They wonder if this painting is a treasure map of sorts since it appears to be able to be viewed both right side up and upside down. Jia En brings up how it’s hard to design a treasure hunt, when she was designing the three-way mirror she racked her brains to think of a common memory between her and Liu Chuan so that he would be able to follow the clue to the club where she was waiting for him. Liu Chuan stares at her and keeps on staring even when she asks if Liu Chuan has any shared memories with his grandfather that involves a landscape similar to this painting. Liu Chuan is in happy lalaland and asks if she’s tired from designing the treasure hunt all night. She tells him that’s not the point and he needs to focus on the painting. He offers to walk her home but she’s totally perky and wants to accompany him to find out what the secret is in the painting since it was left for him by his grandfather for so long. Liu Chuan admits he’s really excited as well that his grandfather might’ve left him something important. They head to the pay phone where Liu Chuan calls his dad to ask about the painting. His dad has no clue and tells Liu Chuan it can’t be anything valuable. Turns out Liu Chuan’s grandfather left a lot of things for him but his dad went to have it appraised and nothing was valuable so he sold it all. Liu Chuan’s mood drops again just talking to his dad, and hearing how his dad values things by how much it’s worth monetarily. Liu Chuan knows that the things left by his grandfather must have meaning but his dad just gave it all away. Jia En brings up how Liu Chuan is always upset anytime he interacts with his dad. Does he really dislike his dad that much? Liu Chuan explains how he needed time after the concert hug because he disliked himself for asking for help from the very powers he abhors. Liu Chuan isn’t free, no matter how hard he works, he’s still in a castle built by his dad. 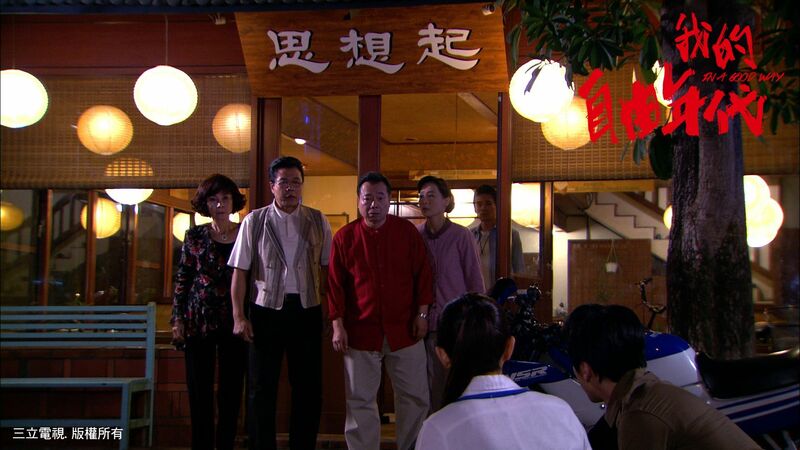 Jia En apologizes for Liu Chuan asking for his dad’s help for her sake. He grabs her around the shoulder and says “Lin Jia En, no one forced me, I did it because I wanted to.” They end this conversation and head over to Ri Qi’s family pawn shop where he has a room full of antique appraisal tools. As they are walking away, Jia En notices a school bulletin showing that the next Foreign Languages department head and it’s not Professor Chang as initially was rumored. Ri Qi grabs a magnifying glass and looks at the painting – the ink fade indicates it about 30-40 years old, but the “To Liu Shan Feng” ink fade is much more recent in the last 20 years. Clearly it was written after Liu Chuan was born. This painting has a moon that leads people to place it with the moon on top, but perhaps the moon was there as a feint and it should be viewed with the moon on the bottom. Jia En wonders if the misdirect is specifically to keep someone from understand what the message is in this painting. Ri Qi points out that Liu Chuan’s grandfather didn’t pass this painting onto his son and left it directly for Liu Chuan, there must be a reason behind it. Ri Qi heads out to ask his parents for the contact of a famous painting appraiser who might have answers. After he walks out, Jia En picks up the magnifying glass and uses it to look at Liu Chuan. He grabs it and wants to look at her teeth, LOL. The fight adorably over the magnifying glass and Liu Chuan ends up with his arms wrapped around Jia En trying to grab it back. That’s when Ri Qi returns with drinks and asks if he should come back later. Heh. The two bros give each other a look and Ri Qi clearly gets it. He turns the talk back to the painting and says the appraiser is available tomorrow afternoon and only then because he’s going abroad after that. Liu Chuan plans to go see him, but Ri Qi then reminds him that tomorrow afternoon is also the school board club review ro-do. Jia En interjects that all the preparations are done so they can handle it, Liu Chuan should go meet the appraiser because this painting’s meaning is so important to Liu Chuan. Ah Qing and Tracy are walking on campus and discussing Tracy’s stuffed animal collection that she’ll be selling at the yard sale. They run into Ting Ting and walk over to say hi. She asks if they are still dating? Both say yes and Ting Ting says it doesn’t look like it since they are not holding hands and she’s walking ahead and he’s walking behind. Ting Ting says Ah Qing has a bad habit, he never holds a girl’s hands in public since he’s afraid of his popularity dropping. Ah Qing grabs Tracy’s hand right away and says he’ll do it. He pulls Tracy away and before she turns around, Ting Ting gives her a girlfriend wink. Ha, I love these girls playing Ah Qing, time for him to taste his own medicine. Liu Chuan is walking Jia En home and she keeps on being brave and asks him what their relationship is now? Liu Chuan stops and says “Lin Jia En, are you……willing to be my girlfriend?” Now that’s what imma talking about! Jia En stares and then smiles and nods very shyly. Liu Chuan smiles and nods and she nods back again. Then he tentatively reaches out his hand and holds her hand. They smile shyly and then continue to walk home. He thanks her for designing a great treasure hunt to encourage him. She wonders if he liked it? Liu Chuan holds their joined hands up and looks at it before saying “I like it a lot.” Ha, that’s cuz the prize you found at the end of the treasure hunt was one Lin Jia En, your adorable new girlfriend. They arrive at the teashop and awkwardly say goodnight. It’s clear neither want to let go of their hands and the both stare down at their hands until Jia En lets go first. She then stares at Liu Chuan and grabs his hand again. Dad notices Jia En and pokes his head out to remind her that she’s back so late tonight. The new lovebirds quickly release their hands and Liu Chuan greets Jia En’s dad. He tells her to call him if she needs anything and then heads off. The Treasure Hunting club is having its yard sale to raise the money to cover the club funds used for the Freedom concert. Sales are brisk everywhere other than Ah Di and Jacky’s postage stamp collection where no one is interested. Tracy and Ah Qing are manning their booth and she gets mad at Ah Qing for flirting with girls to close a sale so she huffs off to help Ah Di and Jacky sell their stamps by flirting massively with passing male students. Ah Qing sees it and ups his flirting until Tracy can’t handle it anymore and goes back. Ah Di and Jacky wonder where Ren Wei is which is when Ren Wei arrives carrying a box. He announces that any stamp collection purchases comes with a free tomogatchi. That kick starts sales and the guys ask where Ren Wei got so many of these. Ren Wei bought it wholesale and tells the guys they need to keep selling and not give up now. Ri Qi is selling Xiao Wei’s hand drawn mangas and lots of girls are interested and talking to him. One girl asks why one picture has a girl holding many balloons? 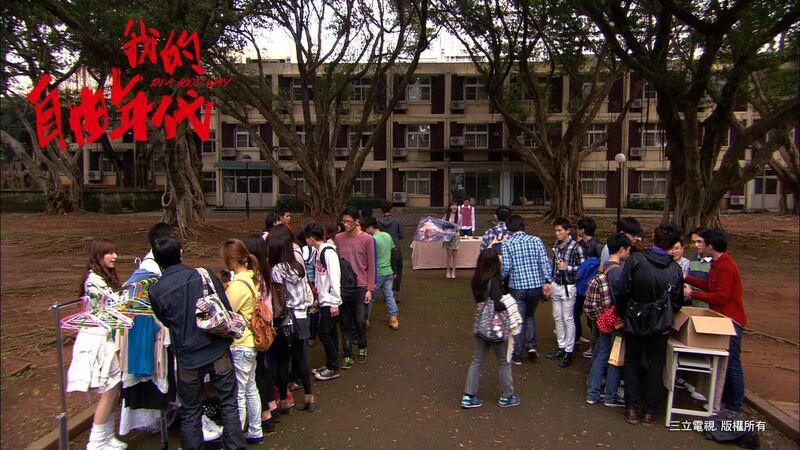 Ri Qi looks at Xiao Wei who walks over to explain that the balloons represent help that the girl received. One girl asks Ri Qi for his phone number but he turns her down. He doesn’t like a girl who is very forward, but he also says things can be left to fate. Xiao Wei sits down processing how popular Ri Qi is. Bai Xue and Jia En are manning a booth together and selling decently as well. Jia En opens a poster that Bai Xue brought to discover it’s of the character Rukawa Kaede from the manga Slam Dunk. Rukawa Kaeda’s name 流川楓 is pronounced Liu Chuan Feng in Mandarin, which is where Liu Chuan got his nickname since he’s a baller and Liu Chuan Feng sounds a lot like his real name Liu Shan Feng. 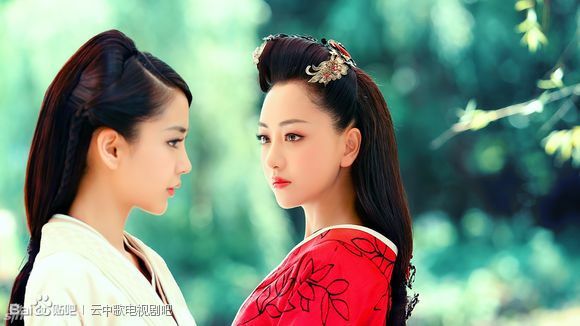 There is a bit of awkwardness between the girls since this is clearly a reminder of how much Bai Xue used to like Liu Chuan. Jia En brings up Liu Chuan needing to meet an appraiser today so can’t be here but Bai Xue isn’t mad at him anymore. She just hopes they can make it through this difficult patch with or without Liu Chuan. Bai Xue walks forward and calls out that she has an original mint condition Rukawa Kaede poster from Japan and gets folks interested in buying. Liu Chuan is sitting in a cafe waiting for the appraiser and checking his watch. The Treasure Hunting club brings all the remaining unsold items back to the headquarters and discuss how the sale went very well today. Everyone is very happy and Bai Xue collects all the money and counts it. Sadly they are still about NT 20,000 short. Ah Qing suggests they continue selling at another location but they don’t have anymore time left as the professors are coming shortly. Jia En hears this and runs out. Liu Chuan is reading the original club declaration of what its purpose is. He gets a page from Jia En that reads 4455. The same two professors arrive for the club review re-do and ask if they’ve made back the money. Bai Xue says they are still NT 20,000 short and asks if they can have more time to make it up. The professors have already given then one extension and to give another is not fair to the other clubs. They are leaning towards not approving the club for the next year when Liu Chuan arrives just in the nick of time. Liu Chuan introduces himself as the club president and walks over to deliver his patented Liu Chuan speech of awesomeness. He explains that the official club declaration stated that the club was about using intelligence and physical labor in order to seek development and change during the process of treasure hunting. That means treasure hunting isn’t about looking for an item, it’s about seeking a principle, a belief. He describes this concert as the biggest treasure hunt this year, a hunt that was about seeking justice and the truth. Everyone who participated found something important – that people need to care, need to fight for what is right and that is the meaning of independence. The professors think he’s stretching his argument but Liu Chuan isn’t cowed and says his explanation is correct, treasure hunting is not a game or a way to pass the time and this concert was pivotal in expanding the club going forward. The professors confer and pass the club for this review period. The club members happily cheer after the professors leave. Liu Chuan thanks Bai Xue for holding down the fort lately but she’s just happy he’s back and is still the same guy she’s known him to be. He apologizes for being not himself recently but everyone is just happy to have him back. Liu Chuan is asked why he rushed back just in time and Liu Chuan and Jia En give each other a smile and a look which Ren Wei notices. The club decides to go bowling to celebrate this happy occasion and everyone walks out but Ren Wei hesitates after seeing the Jia En-Liu Chuan love stares back there. On the way to bowling, both Tracy and Xiao Wei beg off since they have other things to do. Ri Qi walks Xiao Wei to her part time job, and with a few people passing Ren Wei doesn’t want to go either. Jia En encourages him to go since he’s such a good bowler so the remaining folks head out. On their way to bowl, they walk by the official bulletin announcement where Professor Chang got passed over for the department head. Bai Xue points out that the university attitude has changed and Professor Chang has fallen from favor but no one knows why. Liu Chuan says it’s not about the good guys winning or the bad guys losing, he hopes this situation will have an even happier conclusion for everyone involved. The guys are bowling and discussing how Jia En and Liu Chuan went to buy drinks together. Everyone thinks they are together already but Ren Wei sits there looking pissed. Liu Chuan and Jia En are buying snacks and she hears that he rushed back and didn’t get to meet the appraiser. She points out that she paged him to hurry back, not to come back ASAP. She buys two chocolate bars and Liu Chuan reminds her that it’s not enough for the group so she buys ten instead. Liu Chuan suggests they switch to morse code when paging each other so they can communicate more accurately. He takes her hand and asks what she wants to communicate in morse code? Jia En says “Joan” so Liu Chuan writes on her palm the morse code for Joan, leaving Jia En giggling and squirming at being tickled. They are co cute!!! Finally she pulls her hand out of his just as Bai Xue walks over. She hears that Liu Chuan is teaching Jia En morse code and she tells Jia En to teach her later after she learns from Liu Chuan. She then gestures to Jia En “good luck!” before walking away with a smile. Even Liu Chuan can tell Bai Xue is fine with them now. Liu Chuan and Jia En return with drinks and the guys tell Liu Chuan to go play since no one can beat Ren Wei. He takes a bowling ball and stands at the lane and sends one ripping for a strike. Jia En claps and high fives him. Ren Wei plays and hits a gutter ball that leaves him walking back dejected. Ah Di and Jacky wonder how Ren Wei got a gutter ball the moment Liu Chuan showed up? Ren Wei walks back to his seat while Jia En keeps asking Liu Chuan why he’s so good at bowling and totally fangirling her hot awesome boyfriend. Liu Chuan sits in his room and thinks back to his grandfather telling him that freedom isn’t found by power or wealth otherwise people will seek endless power and not freedom. He wonders what the answer to life is since he’s already trying so hard to find the answer. He wishes his grandfather was still alive. Jia En is having dinner with her parents and Ren Wei but she’s more interested in reading her book on morse code. Her dad tells her to eat food and not consume her book. Ren Wei gives her a piece of food and she takes a bite but starts smiling like a happy loon. She takes another bite and says she’s done with dinner. Her parents can tell she’s in love since she doesn’t have an appetite. Ren Wei asks how the treasure hunt she designed went and Jia En smiles and blushes before confirming it went well. Ren Wei is about to ask why Liu Chuan showed up today just in time when the phone rings and Jia En rushes to answer. It’s Liu Chuan and she tells him to wait before running to her room to talk in private. He reveals that he was thinking about his grandfather so called her to chat. Jia En reveals she was reading the morse code book and he asks what she learned. She tells him “1000 0010” and that makes Liu Chuan smile since it stands for “BF” or boyfriend. He taps out a morse code on the phone for her to test her and she asks him to slow down. Liu Chuan laughs that he would be impressed if she figured it out and reveals he tapped out a song tune. Jia En can’t believe they are together, it doesn’t feel real. Liu Chuan feels the opposite, being together with her is the most real thing in his life. Kyaaaaa, you sweet talker you! Jia En blushes and asks when he started to like her? Liu Chuan says a long time ago but Jia En wants specifics. 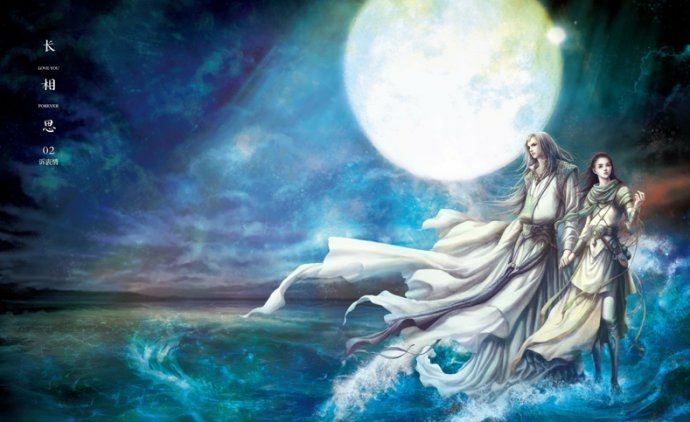 Liu Chuan says “love at first sight, then love growing over time”, he can’t pinpoint a moment. Jia En then asks what he likes about her? A lot, Liu Chuan says with a smile. She wants specifics again so he says everything. She thinks he’s being dismissive but he isn’t, he’s being completely serious with her. Jia En knows she has flaws and isn’t perfect but Liu Chuan says everything about her is adorable. Jia En asks if he’s being serious? Liu Chuan says “if you like me then you have to trust me”, which is when Jia En’s dad picks up the other handset downstairs. Liu Chuan ends with “if I say it’s adorable, then it’s adorable”. Jia En’s dad says “I’m the most adorable” and then chastises Jia En for talking on the phone for so long that no one can call in. Liu Chuan reveals he’s the other person on the phone and Dad says hi to Liu Chuan and Ren Wei hears this as he’s helping to clear the table. Dad tells the two lovebirds to finish the call quickly and for Jia En to call the gas company afterwards for him. After Dad heads to the kitchen, Ren Wei walks over to the downstairs phone and contemplates picking up the handset to listen in as well. Jia En runs down and asks what he is doing and he lies that he was thinking about calling his parents. He walks back to his dorm but Jia En wants to go with him. She asks what is wrong with him today? He’s the strike king and has never thrown a gutter ball before. Ren Wei says no one idolizes him anymore since he arrived in Taipei and asks if Jia En thinks he’s become a loser since he got here? Jia En asks if something happened with Bai Xue but Ren Wei flat out reveals he isn’t pursuing Bai Xue anymore. Jia En knows Ren Wei must like another girl now and is upset he didn’t tell her. She wants to know who the lucky girl is but Ren Wei doesn’t want to talk about it despite Jia En asking him repeatedly. She tries to tickle the truth out of him but he grabs her hand to make her stop, and there is a slight awkwardness as they look at their joined hands. Ren Wei asks if she’s in love now and if she is together with Liu Chuan? Jia En asks if it looks like they are together? Ren Wei gets mad and says if she doesn’t want to come out and say it then he doesn’t want to know. Jia En stops him and asks if he really doesn’t want to know? Ren Wei says no, he doesn’t want to know and he wants to walk back to the dorm alone to think. Jia En calls out that he’s really weird today but he ignores her and walks off. Ren Wei comes back to his dorm room to find Ah Di and Jacky bringing four boxes into his room that arrive for him today which turn out to be tamagotchis. The roomies asks why be bought so many and turns out Ren Wei promised to buy five boxes worth which is why he got the wholesale price. He used up two months of allowance to buy all this and he has to sell it otherwise he has no money left for the Summer. Jacky buys one to raise but Ah Di is with Ren Wei only in spirit. The two guys rush out to supposedly go on a date and will explain to Ren Wei later when he wonders what date they are going on. Ren Wei picks up a tamagotchi and sighs. Ah Qing and Tracy are at the MTV watching a movie when Ah Qing starts to make a movie towards her. He leans in to kiss her when Ah Di and Jacky arrive and rush into the room. Ah Qing wonders why they are here and Tracy explains she invited them. Ah Qing asks why they are here being a third wheel and hears that Ah Qing and Jacky are now Tracy’s sworn brothers for life. Ahahahah! Ah Qing rolls his eyes and storms outside to make a call. He returns with a bunch of pretty girls to join the movie watching. That immediately gets Jacky and Ah Di’s attention and they leave to go to another room to watch a non-horror movie with those girls. That leaves Ah Qing alone with Tracy again and he tries to snuggle with her because he’s scared of horror movies. Liu Chuan walks by Jia En having breakfast with Xiao Wei and Tracy and she invites him to sit with them but he declines. He’s gotten the name of another appraiser and plans to meet later in the day at Ri Qi’s house to go over the painting. In a very boyfriendy way, he tells her to meet him there after class. Jia En smiles and says okay. He shoots her another glance and leaves while she remains standing staring at him as he walks away. Tracy has to call her name multiple times to get her attention and then Jia En quickly takes a sip of her drink to avoid her besties prying eyes. Tracy can see it and asks if she’s together with Liu Chuan now? Jia En wonders if it’s so obvious and the three girls squeal in delight the way all good girlfriends would do. Tracy can’t believe Jia En is dating but Jia En points out that Tracy is doing the same. Tracy tries to explain it away as a bet between her and Ah Qing, if they can date past 100 days then Ah Qing has to do what she says. Both Jia En and Xiao Wei think Tracy and Ah Qing are very suitable. Xiao Wei is envious that both Jia En and Tracy are dating and confesses her guy doesn’t like forward girls and she doesn’t know how he feels. The other two are super excited to hear Xiao Wei likes someone and tries to get her to reveal who he is but Xiao Wei is too shy to. Ren Wei stares at his tamagotchi and thinks its so cute and round and names it Lin Jia En. He talks to Lin Jia En the tamagotchi and tells it to go eat, study, and play ball. He calls himself an idiot for talking to it when the real Jia En is off on a date. Bai Xue comes over and startles Ren Wei who drops his tamagotchi and it breaks. Bai Xue asks if he can raise another one and Ren Wei sighs that another one isn’t this one. Bai Xue can tell he’s in a bad mood and Ren Wei reveals that he’s annoyed at having boxes of tamagotchis as well as Jia En and Liu Chuan being in their own world lately. Bai Xue knows and she’s really happy for them and want them to make it. She’s known Liu Chuan for years and he’s the same towards everyone except for Jia En. Ren Wei has also knows Jia En for a long time and she’s always idolized him no matter what he does. But ever since she met Liu Chuan, he just seems like a loser in comparison. Bai Xue is startled by Ren Wei’s take on the relationship and asks if Ren Wei doesn’t approve of them? Ren Wei claims to be worried that a country girl from Pingdong will be taken advantage of by a worldly guy from Taipei. Bai Xue says it’s the guy and not where he’s from. Ren Wei admits that Jia En has been following him around his whole life and they have bickered and been together for so long. He tried her help her during the college selection process but ended up harming her chances. When she came up to Taipei and paged him, he chose not to return her page. 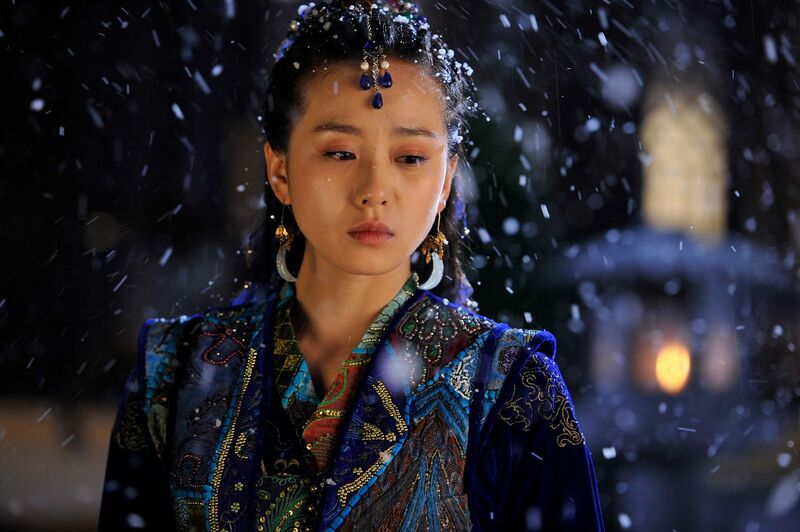 Then when she started college, he barely spent time with her since all he thought about was chasing after Bai Xue. She asks if Ren Wei is sad that his little sister is all grown up, or that he has special feelings for Jia En? Ren Wei admits he doesn’t know. Ren Wei finds Ah Qi packing up to head home for college and Ah Di asks if Ren Wei is going back to Pingdong this Summer. Ren Wei puts his Jia En tamagotchi down and gets into bed. Ah Di can tell that Ren Wei is in a bad mood and suggests that Ren Wei not go home for the Summer because distance is a relationship killer. So he should just stay here in Taipei with Jia En’s parents since they offered to let him stay, that way Ren Wei can spend more time with Bai Xue. Ren Wei sits up and appears to think over Ah Di’s suggestion, but clearly it’s not Bai Xue on his mind. Ren Wei rides his scooter to the teahouse with boxes of tamagotchis on the back. He is in a good mood with Ah Di’s great suggestion and starts to unpack his stuff. He mutters about Ah Di being so smart but too bad Ah Di doesn’t know that the target of being close is not Bai Xue. Suddenly Ren Wei hears someone calling his name and looks up in shock to see his parents standing there. He asks why they are here and how long they are staying. His dad will stay as long as he wants so Ren Wei better not rush him. Ren Wei sighs and then Jia En’s parents come out and welcome their good friends Ren Wei’s parents inside. Ren Wei sighs about this sudden change of events with his parents here. Jia En and Liu Chuan leave their meeting with the appraiser and she wonders when he can give them an answer. Liu Chuan is content to be patient and Jia En agrees and hopes for good news soon. They get on his motorcyle and Jia En sits up like she normally does, which is when Liu Chuan leans back all manly and orders her “hug me” before putting her arms around his waist. Jia En smiles as she embraces Liu Chuan’s waist and leans into his back and he takes off on the motorcycle. The parents are chatting over tea while Ren Wei gives his parents an update on his activities this past year in school including almost flunking a class and getting involved in a school protest for justice. His dad would rather ask about how Jia En is doing and Jia En’s dad says he’ll update on her. He reveals Jia En is so pretty now, growing her hair long. Ren Wei’s mom says that when a girl starts getting prettier is when she’s in love. Ren Wei’s dad assumes Jia En likes Ren Wei and tells his son that the only thing he did right up here is this. The parents discuss how another old friend has opened a very popular onsen resort in Taidong province and suggests they go visit the friend and stay at the resort overnight. Liu Chuan pulls up outside the teahouse on his motorcycle with Jia En behind him. Everyone in the teahouse notices their arrival. Jia En gets off the motorcycle and promptly twists her ankle and lands on the ground. Liu Chuan freaks out and immediately gets on his knee to tend to her. He tries to massage her ankle while she yelps in pain. Suddenly Jia En looks up and sees her parents, Ren Wei’s parents, and Ren Wei all standing at the entrance to the teahouse staring at them. Liu Chuan looks up and releases his hands that had been massaging Jia En’s ankle, looking like a kid caught with his hand in the cookie jar. Ooooh boy, I can’t wait to see how Liu Chuan and Jia En explain all this ankle massaging and taking her home on the back of his motorcycle away. It’s about time Jia En told her parents she’s dating Liu Chuan. I don’t think she’s trying to keep it from anyone, as evidenced by her coming clean with Tracy and Xiao Wei right off the bat. She’s just embarrassed like a sheltered young girl not sure how to discuss something like dating with her close friends and family for the first time. So she avoids it but isn’t trying to conceal it. She was about to tell Ren Wei when he asked until he told her he didn’t want to know. I’m glad Ren Wei had a talk with Bai Xue about what’s been bothering him lately with respect to Jia En. Bai Xue’s question is exactly the question Ren Wei needs to be asking himself – is he sad losing Jia En because he wants her for himself, or because he no longer has a little mini-me following him around and idolizing him. Now that Ren Wei’s parents are here, it ought to add another interesting dynamic which is the fact that Ren Wei’s parents probably have viewed Jia En as their future daughter-in-law this entire time. I find both sets of parents absolutely hilarious and am looking forward to how they shake up their kids burgeoning love lives. I like Ren Wei’s character and do want him to suss out exactly how he feels, but his story arc is frankly piddling compared to the astounding levels of perfection that is Jia En and Liu Chuan dating. I’ll admit that it’s not easy to predict how this couple would behave once they got together, who wears the pants in the relationship, how their dynamic would shift once the romance is out in the open. Liu Chuan is so the text book definition of 悶騷 (repressed), keeping his emotions on a tight leash. It just makes his steady onslaught of expressing what he really wants around Jia En all that more satisfying. The “hug me” order left my jaw on the floor (Liu Chuan, dude, I never knew you had it in you), and also left me wondering just how long this boy has been dreaming of Jia En riding behind with her arms wrapped around him. Now I wonder how many sleepless nights he’s been bothering poor Momo with his pining for Jia En in silence, all the while depriving us of seeing more of Liu Chuan the loverboy. I enjoy how the new couple is pretty open with their slight PDA in front of others, but nothing too excessive that would seem out of character. I’ve been waiting for this day to arrive for what feels like forever, and now that it’s here I hope it stays for as long as possible. This drama can subsist on Liu Chuan and Jia En dating for the rest of its run, we all agree on that? Who needs plot when there is ChuanEn hotness shooting laser sparks at the rest of the world. The defribulator did not come soon enough. Good thing the family knows CPR! I am flailing my arms just reading the recap. My cheeks hurt from grinning like a loon. If these two get any cuter, my teeth will fall out from the second-hand sugary decay that is happening to me. It is all so delicious. Hahaha! If this recap didn’t already have me grinning like a loon also, your comment would have! me too, me too! I need a defibrillator stat! Gah, this drama just gets better and better and I’m totally abusing the replay button! Thanks, Ms. Koala for such an awesome and lightning-quick recap. Lub you! Captain Koala asked before if I could order the defribulators in bulk. Maybe we should all just make sure we do not watch this show without a buddy. Remember how they told us to make sure we had a buddy when we went swimming when we were little or when we were on class trips? Perhaps we should have a roll call each Friday, making sure everyone checks in so we know everyone is still breathing. Nauna? check. Saima? check. MikanSakura? check? ilikemangos? check. ck1Oz? check. Jomo? Jomo? Jomo? Hmm. does anyone know where Jomo is? We should probably check on her. She has been Chuanned! lol-ed ttm at your comments d same way i did when i read up til “Hug me”!!! Yup, I’m back rereading the recap to put me in a good mood before grading papers all Saturday. My students should write thank you notes to the cast of IAGW. gahhhhhh!! Smiling ear to ear!! That bit about him ‘asking’ her if she’d be his gf – yeah, I was positively glowing with feels!! Hope this episode gets subbed quick!! I was watching outside when the ” hug me ” came out of the blue. Embarrassed myself by squealing too loudly. Oh goodness this episode waa adorable. Those 2 giddy in love is adorable. If LC shoots anymore of those laser bean gazes at her, can’t guarantee my heart is not going to quit on me. By the way, what is the song that was playing while LC was waiting for that guy? It was really nice and had great lyrics. Thank you for the recap. I know I am going to be watching it again on viki anyway. Thank you. I am not familiar with most Mandarin songs. So I just watched the raw episode after reading the recap, (which I never do with TW dramas), but I just couldn’t wait for subs. Awww…the feels, the feels! I just want to hug somebody! Where’s the hubby? I’m about to make his day. 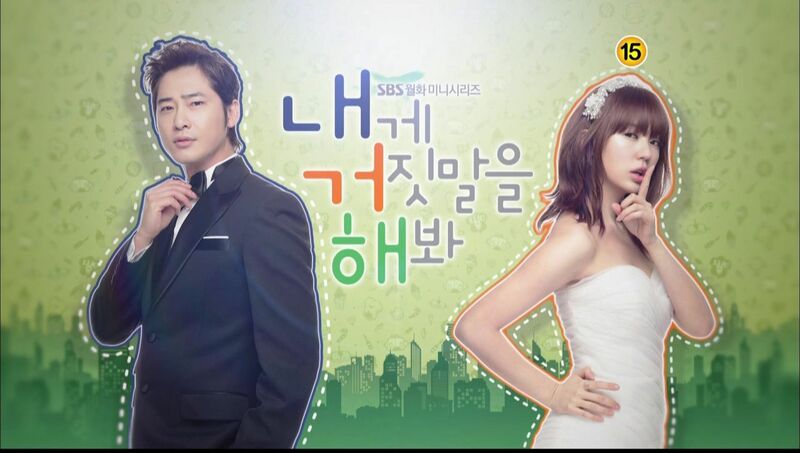 The title really fits this drama because it’s making us all crazy addicts In A Good Way! Like all of you, I’m just grinning, laughing, grinning again, squeeling, flailing, grinning again and the cycle goes on and on through the preview scenes. Love the feeling!!! the candy bar scene. wordless in all its squealworthy moments, is by far the best scene ever. those two are as cute as bunny rabbits. usually lego trumps rongrong’s acting but i think they both hit it out the park here. You got it right! I also have to commend Rongrong for growing so much as an actress during the drama’s run. Lego has from the start been on point with his acting, while Rongrong gifted with a natural screen presence would still have awkward moments, but she has been hitting the emotions, voice and expressions the past couple of episodes. And she was really on point in this episode, I did love the small gestures and actions she incorporates to elevate the scene further, like during the phone conversation she’d have moments where she was doodling with her finger and just her voice intonation and pauses are so much more natural. On another note, the chemistry of Lego and Rongrong is really something to write about. Most of the time, simple and organic interactions like these would need a crazy amount of chemistry or a plot with been-through-hell-and-now-the-viewers-are-just-thankful-for-simple-skinships, to sell it. But in this case, just their chemistry elevates all these hugs and hand holding, brings about great satisfaction and slaying of the viewers. I was especially thinking that Rongrong was nailing the voice and intonation. i know that’s such a subtle thing to notice but i think she’s finally learned the nuances of voice acting and that she can expressed so much more emotion through her pace and volume level. it really complements Lego’s style of restrained acting and it’s such a pleasure to watch. and im so glad she no longer has to act confused and bewildered anymore. take-charge giddy school girl is fine with me. ‘Hug me!’ Could Liu Chuan and Jia En get any cuter? I’ve rewatched all aired episodes too death. If these were still the video tape days, the tapes would have snapped from being worn down thin. I started rewatching this episode even before I finished it…and just melted at every LC JE interaction. And when he said 抱我 my insides exploded! can we also give a shout out to how awesome the senior girls are in this drama? they could so easily be the jealous, bitter second leads but BX and Ting Ting are super supportive of their ‘jimaes’ even though they lost on the guys. and rather than being the other complete extreme of noble idiot, both of them grew up and became a better person for getting over their feelings. great character development all around. i’m going to be so sad to see these kids graduate. ps also love the moment right before JE gets on LC’s motorcycle where she’s about to put her hands on LC’s shoulders but spazzes and just jumps on herself. And then next moment LC is telling her to hold him. Love the little moments in this show. It’s so natural and lovely. the ‘hug me’ omg i had to pause to remind myself to breath. Can anyone explain what better message to LCeant? 4455 O/N? I say, we got the IAGW fever! I was watching on my phone and my husband was beside me, I squealed when the “hug me” part came. My hubby thinks I’m crazy now. Good thing he can’t divorce me. Haha. I ammmm sooooo loooking forward to next week episode…more squeal-worthy scenes to come! I am smiling the whole time I am watching this episode 15. I kept thinking if the title is intended for the story line or because it makes you feel good every time. 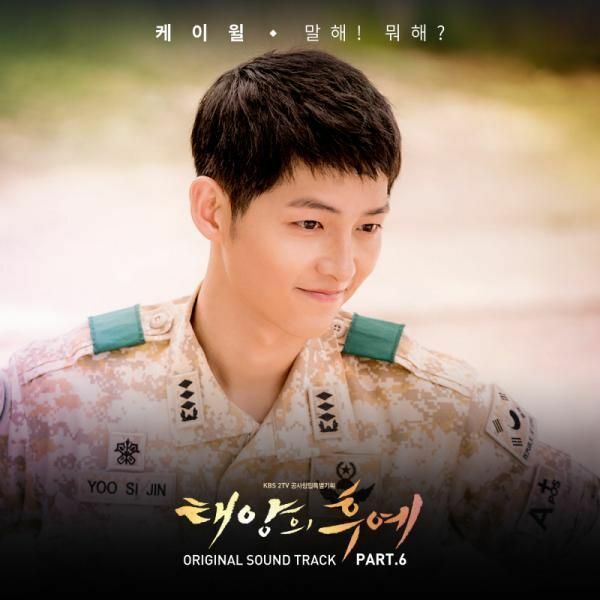 I so love this drama.. And the “hug me” part, kyaahhh.. I still have same reaction <> even I have watched it a couple of times today. Ha! I can’t wait for next week’s episode. I am looking forward to both families spending vacation on a hot spring, and LC and RW jealous moments in the coming episodes. I nearly died when LC said 抱我! I couldn’t believe my ears. And the way he wrapped her arms around him was so manly. I re-watched that scene alone more than 20 times…. I want to see more of this side of LC. And the preview where he back hugged her… I paused my screen and zoomed in, trying to see his expression more clearly. I love that he’s the one initiating all the lovey dovey moves. Like what Ms Koala said, he’s been ‘repressed’ for so long and now it’s all finally coming out! First of all “Liu Chuan’s patented speech of awesomeness” YES!!!! This is why we fell in love with him. He’s so smart and so smooth and so Liu Chuan I just want to grab him out of my screen and steal and keep him for myself. What thrills me about him is his confidence with JE, which could read as macho-ness. I don’t want to add something that makes it sound less good. He never asks her to do something, he tells her to. Again, it sounds rude when I describe it. The impression I get is her agreement and willingness is included in his statement because he understands her so well. He’s simply stating the obvius with her. I went back and watched the scene again because of your post, Jomo (like I needed another excuse to do this). Good to see that you checked in with us. I love them together so much I want to adopt them. He’s manly but not controlling. Yup, he tells her to go ahead and do what she’s always wanted to know and he knows it. Dating Liu Chuan is ruining chances for all the men out there. I’m in line at the grocery store reading this smiling like a loon and the cashier says sign here ma’am and I’m like whatever I’m reading about Liu Chuan. Why does the sidelong glance and simple “Hold onto me,” from Liu Chuan to Jia En work so well? In attempting to analyze Lego Li’s acting, I can only surmise that he reminds me of a few actors whose expressions alone can convey emotions to the audience. A handful of actors have such ability e.g. Tony Leung Hong Kong actor, Yoon Shi Yoon in Me Too Flower and Leonardo Dicaprio. Look at their eyes, it speaks volumes even if they did not utter a single word. Everything about Liu Chuan is low key. He is low key, confident and subtle, thus his matter of fact, “Hold onto me,” works, his sidelong glance conveys a casual sensuousness. There is nothing put on or “acting cool” about him. It’s not even whether he is handsome or not but the actor can convey the vulnerability of the character and connect with the audience effortlessly. I’ve been waiting four months for this episode, and it is absolutely worth the wait. I knew I would be happy once they finally got together, but their cuteness is beyond my expectations. I was squealing from all the sweetness. Give me mooarrrr! Episode 16 looks so good. OMG I love this drama so much. It is so good to watch a drama from the beginning to end and completely get caught up in everything. There is never a dull moment with our cute couples. It just show us how communication and understanding each other is the key towards having a successful relationship. I am hoping that their love keeps growing and their friends and family continue to support them 100%. Cannot wait to see this week episode. I have recommended this drama to a bunch of people and hopefully they will join us and experience an awesome drama. my next door neighbor must have had a sleepless night last friday night debating whether to call someone to take me away. i swear, my sudden burst of giggles were disturbing, not to mention embarassing. huh. i should’ve been warned that episode 15 is gonna be this crazy awesome.